Just arrived! 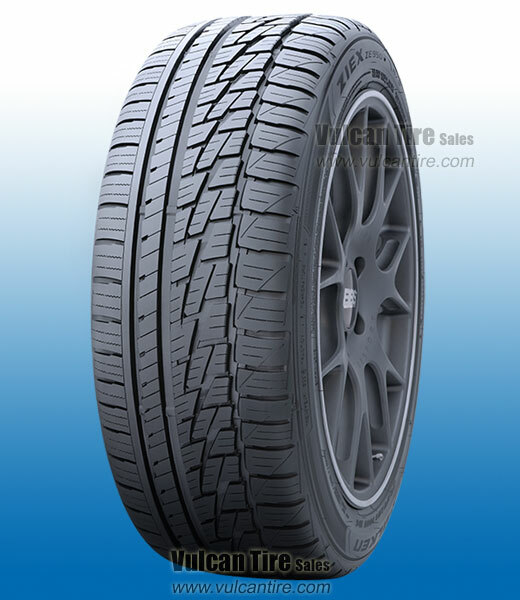 The Falken ZIEX ZE950 A/S is now in stock in select sizes with more on the way. The Falken latest High Performnce All-Season tire promises to offer 18% better tread life and 10% better winter traction compared to its predecessor, the ZIEX ZE912. Check out the ZE950 promo video. 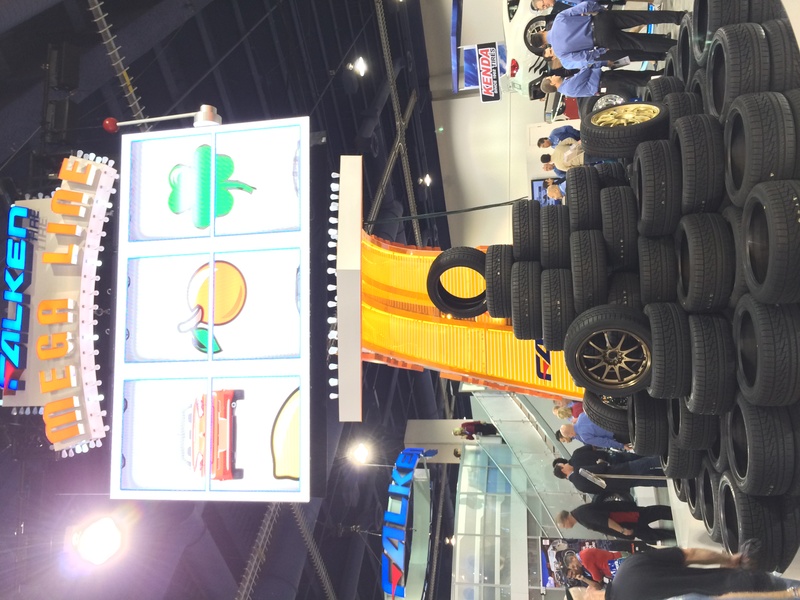 Here is a stack of ninety five ZE950 tires representing the total number of sizes in the ZE950 line. 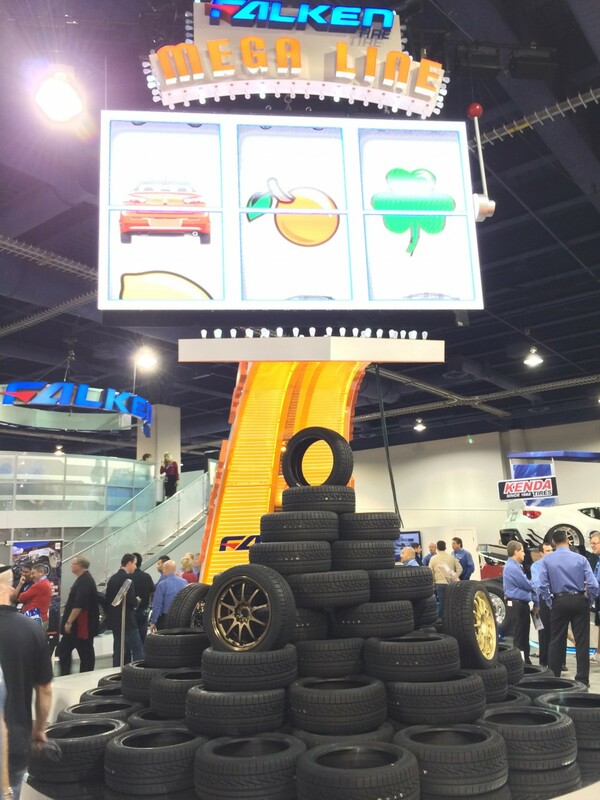 This was on display at the 2013 SEMA Show in Las Vegas.